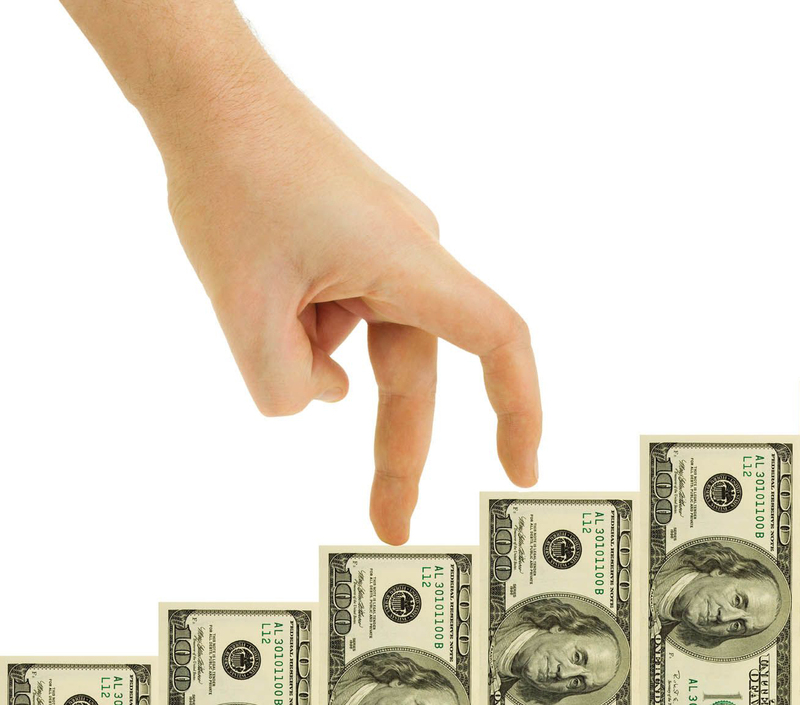 Home » Money » Fed Raising Rates …. When? Fed Raising Rates …. When? It’s been nearly a year since Janet Yellen, in her first testimony press conference after a Fed Open Market Committee (FOMC) meeting, told the world just what she was looking for before raising the Fed Funds Rate (and everything that rises along with it). The openness was remarkable for a Fed Chair and a sign of a new era as a woman took control of what is arguably the most power job in the world. Since that time, we have followed “Yellen’s Dashboard” with periodic updates to just just how we’re doin’. Nearly everyone agrees that interest rates will rise sometime this year, probably around June, as she has told us. But how does that stack up against her very public criteria? It’s worth checking in with some math to see where we are with rates and what we can expect. 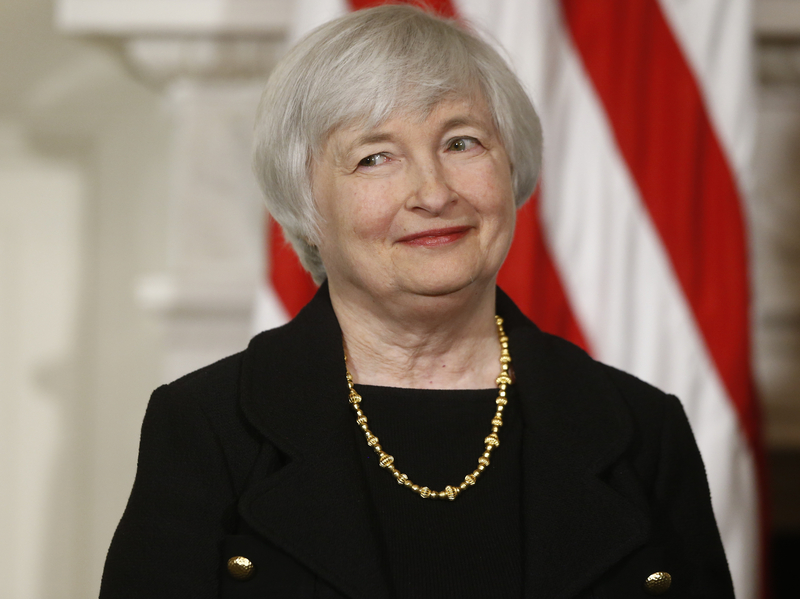 It’s gonna be allright … Janet Yellen when she was introduced to the world in 2013. The five elements that Yellen discussed were not the most important figures in the economy generally. She chose measures which have been stubbornly lousy through the Managed Depression on purpose. While things have been looking good for some people, others are clearly being left behind. Yellen made it clear – the Fed under her leadership isn’t going to let that happen. That’s why we have such unconventional measures in the dashboard. U6 unemployment is an important one, and the only measure of employment we should be using. The duration of unemployment has also been a terribly stubborn problem lately. But workforce participation and the rate at which people are willing to quit their jobs are a bit surprising. The list rounds out with growth in wages, something that is just starting to rebound. Barataria took the liberty of putting these five together and coming up with a scale where January 2000, before the Depression started, is the absolute measure of goodness and the low point over the last 15 years is the measure of badness. Where we stand today between those marks is converted to a 0-20 scale so they all add up to 100. How has Yellen’s Dashboard performed? 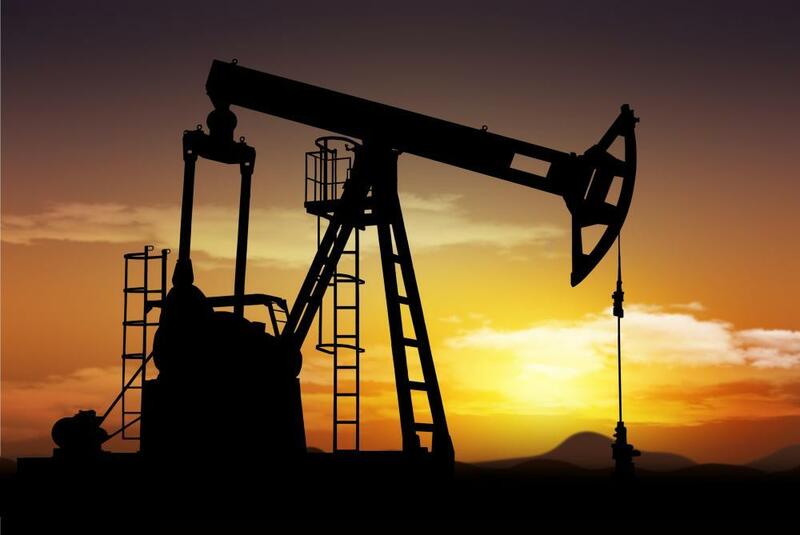 Demand for oil didn’t rise as fast as expected, so supply got ahead of it. As you can see, the great progress in 2014 is not continuing right now. It’s leveled off a bit and not gaining as we would like. 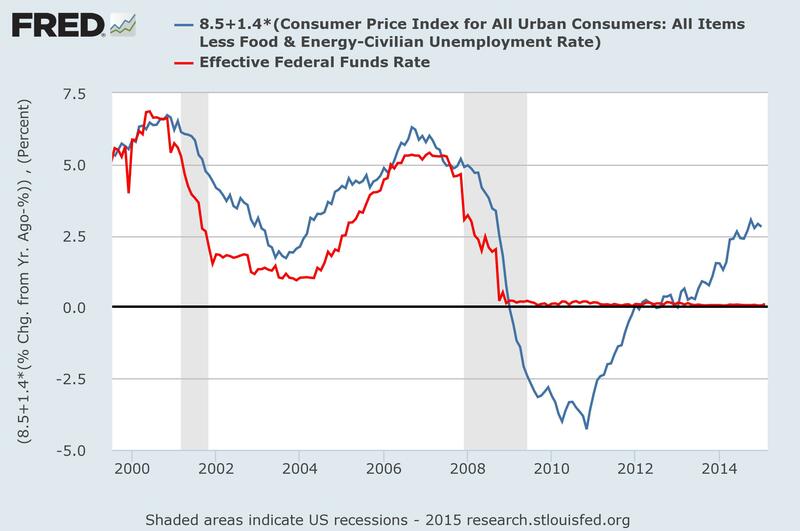 Between that and the low inflation caused by plummeting oil prices there is little pressure on the Fed to raise rates. There are three great features to this chart. The first is the ballpark, perhaps even decent correlation before 2009. Then, the Mankiw rule dives below zero – a rate that isn’t supposed to happen without major upheaval. That marks the start of “quantitative easing” as a policy, ended in 2014, which is to say goosing the economy with a fixed amount of money rather than an interest rate. And then the calculated rate turns positive in 2012 but the actual does not – reaching almost to 3% today. This is the period of a very hot stimulus by historical measures and the time when Bernanke, and later Yellen, started looking out for workers. Where should the Fed Funds Rate go? The short answer is that the FOMC could, and perhaps should, raise rates just about as much as they want at any time. But the measures that Yellen gave us show that the economy is not picking up steam as rapidly as she would like. There is every reason to expect an interest rate rise this summer, but it is likely to be a small one – perhaps a quarter percent. It should be enough to get everyone over the addiction to cheap money and start looking beyond the liquidity trap that has defined investing since 2008. But that’s about all it is likely to do. Yellen made it very clear what she is looking to see improve before rates really go up. Despite some early progress, jobs are not gaining ground as fast as they were. There is still time to see progress this year and next, into the projected end of the Depression in 2017, but despite a very hot stimulus by the Fed we are not overheating yet. There are some technical details in this post – please follow the links for more information. Also, please vote for Barataria as “Best Weblog About Politics” in the 2015 Bloggie Awards. Thank you! This entry was posted in Money, Nooze and tagged business, current events, deflation, Economics, economy, fed, FOMC, inflation, interest rates, Jobs, longreads, Politics, Quit Rate, U6 Unemployment, unemployment, Yellen. Bookmark the permalink. I agree. As long as the rates increase slowly it should not upset the economic recovery, but there needs to be real improvement in U6 unemployment if we are to see a real rise in interest rates. Yes, U6 is the key to me, and probably to Yellen, too. It’s at 11.4% the last time I looked, which is to say over 10%. That’s not good. I think when that hits 10 we will see some action – but that could easily be this summer if things pick up again. Agreed. If the powers that be would just invest in America, that is, infrastructure, jobs, technology, you know, REAL economic growth, things would be just fine, but good luck getting Congress to agree on any of that. Amen, brother! I’ve been calling for a serious investment in infrastructure since at least 2009. It has a strong payback, too. Just imagine if all that money spent on propping up banks had been invested in this way – or if the unemployment benefits extensions had been matched with just a little more for materials and we got something for it all. It’s been a big waste so far, but we can always invest in this nation. Thank you. I am a science fiction writer by trade, if you are interested, why don’t you check my site out? http://www.jungsturmnordsternekompanie.com. It’s OK, this has no immediate effect on anyone but bond traders! What I think is going to happen is that a quarter point is already priced into mortgages, more or less, so there will be a minimal rise in mortgage rates. I expect that to continue through 2015 with so little pressure on interest rates. The same is going to be true for credit cards, car loans, etc. They will go up slightly, but not a lot. Over the longer haul? We need a stronger economy to help the middle class, and so I don’t see them doing much more than a small rate rise this year – despite a reasonable guess that they really could by traditional measures. Nothing makes sense till your aims are achieved. I hope you get to see a stronger economy which is always beneficial to all class of people including the homeless, hopefully! All the best! That is always the goal – a rising tide lifting all boats. It doesn’t often happen, however. Policy makers have to work for it – and Yellen very much is. So are the other Fed Governors, or at least some of them. It’s so strange that they are on the side of working and poor people while Congress is on the 1% side. You’ve hit the nail on it’s head. Hope the policy makers will do everything in the best interests of their people living up to their expectations. Let’s hope for the best and look forward to a stronger economy which always ensures greater prosperity! Yellen is great! She is exactly what we need in that position. Open, honest & looking out for the working people! Is raising rates a quarter point really going to change anything? Seems to me that they want interest rates to be at least 1% or higher if the economy can support it. It’s so far below inflation now that there is no incentive to save. Yes, in order to get an incentive to save the Fed Funds Rate has to be about 3% or more – which is, incidentally, what we calculate it should be. So we are far from encouraging savings, and that is a problem. Are you n snyc with Alan Greensapn on the global savings glut driving down the price of credit in the US and being large factor in causing the recession? No, I am not. Haven’t heard that. It makes some sense in depression conditions, but with all the debt it also doesn’t make sense. Link? Excess capital would be related to savings in former 2nd world and 3rd world nations. Those nations also increased the world supply of labor ever since those days when Deng Xiaping and MIkhail Gorbachev changed. The idea of not enough work to go around relates to overinvestment in physical capital–the part of the world economy that produces things has too much capacity in relation to demand. We ought to note for the youngsters out there that NAFTA and China’s entrance in the WTO was not welcomed by the United States labor community. The only way that low income nations can get wealthier is that they become more labor and output efficient in agricultures, urbanize and make more exportable goods and better quality services for internal consumption. We already know that communism didn’t work because centrally planned economies can not function at a higher level than allocation through prices, markets and credit. We have to remember that some communist thinkers thought their societies didn’t need credit–they thought that for money to have time value was not ethical. This link has some comments about the issue and a link to a book. “The fact that the rapid expansion of credit through private label mortgage securitizations came from European global banks puts the “Global Savings Glut” hypothesis into new focus. China, Japan and other current account surplus economies have often been cited as contributing to permissive financial conditions in the United States (Bernanke, 2005),10 but these countries held mainly Treasury and GSE securities rather than the private label securities that provided financing for subprime mortgages. Although GSEs channeled funding to the U.S. housing market also, subprime lending was securitized mainly through private label (that is, non-GSE) securitizations. Of the non-U.S. intermediaries, it was the European banks that were exposed most to the securities and structured products associated with subprime. More recently, Bernanke, Bertaut, DeMarco, and Kamin (2011) and Bertaut, DeMarco, Kamin, and Tryon (2011) have drawn attention to capital flows emanating from European investors, pointing to the need to modify the original Global Savings Glut hypothesis. They also consider a mechanism whereby the current account surplus countries had an indirect impact on U.S. credit conditions by pushing down long-term yields on U.S. Treasury securities, thereby inducing a substitution away from Treasury securities into private label securities by European investors—a type of “crowding out” effect. However, such an account sits uncomfortably with the evidence from Figure 8 that European global banks raised their assets in the United States, increasing their claims against U.S. borrowers by close to 40 percent from 2005 to 2007, rather than merely substituting their holdings away from Treasuries into private label securities. Thanks, I am going to have to digest this. But I think it makes sense to me that the “banking glut”, ie an excess application of supply-side easing during depression conditions in the early 2000s, is the problem. It’s worth thinking through. One view is that the cost of quantitative easing will is asset price inflation and only later consumer goods. According to this view central bankers will have a difficult time changing course from their current monetary policy direction. Yes, they will. There’s a lot more money out there. I’m watching velocity to see when it changes from its downward spiral. That has been fueled by a lot more money coming into the economy than there was economic growth. When there is economic growth we have to watch out. The one thing that can save us is demographics – a large retired population tends to keep inflation down, along with velocity.